Databases are the backbone of mission-critical enterprise applications. While modern development practices and cloud-based deployment models are increasing IT agility like never before, they are also increasing business risk. As the amount of data collected continues to soar, and as the types of open source databases deployed for specific applications continue to expand, organizations require powerful and cost-effective solutions for their multi-vendor production environments. Percona has over 12 years of battle-tested database experience, and has helped thousands of customers achieve better performance, better cost savings and better ROI. An unbiased, trusted partner, Percona provides single-source expertise in multi-vendor environments that eliminates lock-in, increases agility and enables business growth. 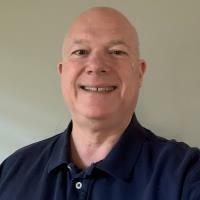 John has over 25 years of services and software sales experience, focusing on open source software for the last dozen. Most recently John has held leadership positions at Rogue Wave and Black Duck Software, helping organizations leverage and support open source more effectively and securely. Prior to discovering the power of open source, John held positions at Ariba, Oracle, Dun & Bradstreet, and Bearing Point. John has a BS from Auburn University. Since college he has lived in the Dallas area, where he enjoys his family, friends, cycling, spinning, and all things Auburn.